A rare Pokémon card made specifically for a CoroCoro art contest in 1998 was put up for bid this week on website Heritage Auction. 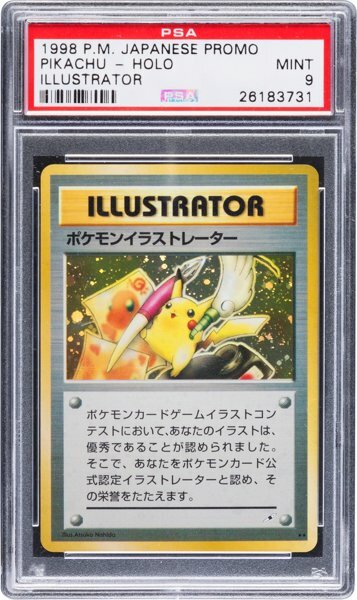 This Pokémon card titled Pokémon Illustrator, features Pikachu holding a quill pen with ink and drawings behind it. Its art was designed by Atsuko Nishida. Pokémon Illustrator was only given to a few people who won the Japanese magazine contest. In fact, only thirty-nine copies of the card were produced. At the time of this writing the bidding for the card is at $550, but Heritage Auction expects it to reach $50,000 by the end of its auction period.